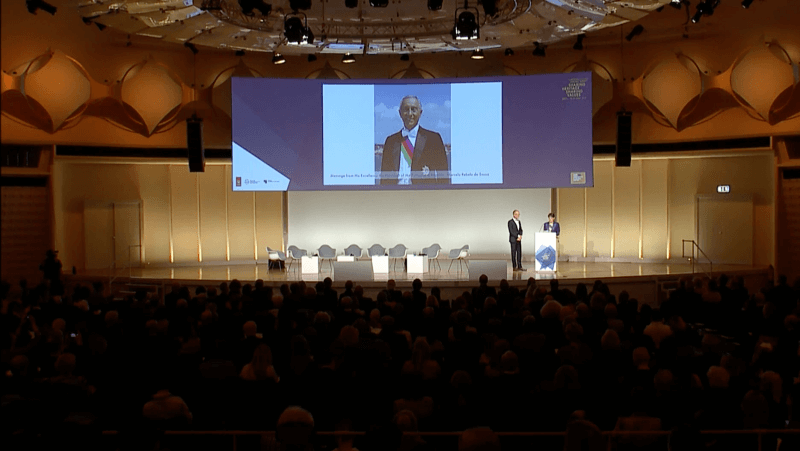 The Berlin European Cultural Heritage Summit, promoted by Europa Nostra, German Cultural Heritage Committee and the Prussian Cultural Heritage Foundation, under the motto Sharing Heritage, Sharing Values, constitutes a high point in the European Year of Cultural Heritage. From the very beginning I have fully supported and closely followed the various initiatives in this context, as a contribution towards the establishment of a culture of peace based on the understanding of our common cultural roots, as well as the safeguard of what we have inherited from previous generations, thus enriching our own legacy to the future. The goal of the European Year of Cultural Heritage is to raise our awareness of European values, strengthening our perception of an open European identity—open to the world. Cultural identity, intercultural dialogue and solidarity, as well as to the interconnection between Culture, Education and Science, must be particularly stressed nowadays. That is what is stated in the Framework Convention on the Value of Cultural Heritage for Society, signed in the Portuguese city of Faro in 2005: the notion of a shared cultural heritage demands an active citizenship and a shared responsibility, involving the protection of material heritage, monuments, libraries, archives, landscapes and nature, but also the valuing of contemporary creativity. Cultural heritage has to do with the permanence of shared values but also with the safeguard of differences, by respecting as much what is exclusive and specific to each of us as what belongs to others and what represents a memory shared by all. How can we understand Europe and the world without this constant dialogue between tradition and progress, or without respecting differences? Or yet without the understanding of cultural roots, as well as of the strength of artistic creativity and scientific innovation? The European Union’s decision to dedicate the year of 2018 to Cultural Heritage at a time of such uncertainty and so many threats constitutes a hallmark on the path towards an European project of peace, hospitality, mutual help, human development and cultural diversity. What is at stake here is a free and responsible citizenship and a union of free and sovereign states. A culture of peace can only last if it is based on care and awareness, on knowledge and understanding, on creativity and the ability to innovate. This is indeed the greatest challenge that the current European Year of Cultural Heritage places before us, a challenge which naturally addresses the institutions of civil society, the schools, the universities, the intellectuals, the artists, the scientists, but ultimately each and every European—how to share our cultural heritage, share the values of our civilization, preserve the collective memories of our peoples and plan ahead the future of our cultural heritage. Because cultural heritage is not just made of what has lasted and survived, but also of everything that, while reflecting our past history, is also able to express innovation, creativity and a vision for the future.